All answers lie within us, in the subconscious mind. 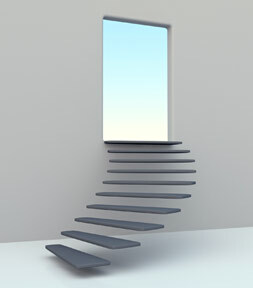 All we have to do is have the willingness to look there and take the steps to allow the answers to surface. Most people seek out hypnosis when they run out of options or when other therapy modalities are not helping (anymore). Hypnosis is a heightened state of awareness, where the body is relaxed but the mind is aware, which allows the hypnotherapist to work with the subconscious mind to help you make positive changes and improvements in your life. Hypnosis uses guided relaxation, allowing intense concentration to appear, and with focused attention one achieves a heightened state of awareness. While In this state, your attention is so focused that anything going on around is temporarily arrested or left aside. This is a very naturally occurring state, and it allows you to focus your attention on a specific thought, situation, feeling or task. Hypnosis can be used in conjunction with psychotherapy. It helps with psychotherapy because the hypnotic state allows people to explore painful thoughts, feelings, and memories they might have kept hidden from their conscious minds and so accessing the subconscious mind is the solution. Hypnotherapy can help change behaviors, such as smoking, chewing tobacco, hair pulling or nail-biting. It can also help change perceptions, and is very useful in treating (chronic) pain. Through the use of this relaxed state, in hypnosis, we can find the root cause of a specific behavior, disorder, symptom, or a traumatic event that a person has had hidden in their unconscious part of the mind. Once the trauma is revealed, it can be addressed and released in therapy. Among many articles out there supporting hypnosis as an effective and efficient alternative therapy here are two articles on how neuroscience is proving that hypnosis produces real, measurable changes in the body and the brain. Click HERE for reading the first article. Click HERE for reading the second article.